You may be proud of achieving your weight-loss goals, but excess skin, and other changes can leave you feeling disappointed with your body image. 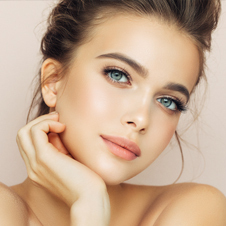 Located in Jupiter, FL, Koger Cosmetic Clinic and Medspa led by board-certified plastic surgeon Kim Edward Koger, M.D., F.A.C.S., performs plastic surgery after weight loss for Palm Beach County residents, including West Palm Beach, Vero Beach and Wellington. What is Plastic Surgery After Weight Loss? You may be proud of achieving your weight-loss goal, but what about other changes to your body afterwards? Excess skin and unflattering body contours can make you feel like your hard work didn’t pay off. After bariatric surgery or other extreme weight loss, plastic surgery can finish your body’s transformation. Body contouring may be what you need. The best candidates for body contouring are adults who have excess skin or unflattering or undefined body contours following a significant weight loss program. Patients will experience more success if the skin has more elasticity. It is important to maintain realistic expectations about your plastic surgery appointment. If you have lost a significant amount of weight and think plastic surgery is right for you, schedule a consultation with Dr. Koger. Together, you can discuss your needs and goals to help your body recover from dramatic weight loss. Dr. Koger will evaluate the skin for elasticity and the underlying bone and muscle placements. He will then determine the best procedure plan for your needs. Many plastic surgery procedures use general anesthesia. Dr. Koger may decide a different approach is better for your procedure, or you may have additional options. The doctor will discuss the best course of action prior to your surgery. Arm lift surgery removes excess skin and fat cells from the arms. This gives a more sculpted look and removes undesirable bags underneath the arms. A thigh lift is for men who have sagging skin on the thighs. After a thigh light, the thighs appear shapelier and toned. Utilizing a body lift, Dr. Koger can remove and tighten the skin across the body. This lifting and shaping ensure the skin properly contours to the body. Underlying muscle tone is visible again, clothes fit better, and self-confidence improves. Liposuction may be used as well to remove any remaining fat deposits that are causing discomfort or a decrease in self-image. 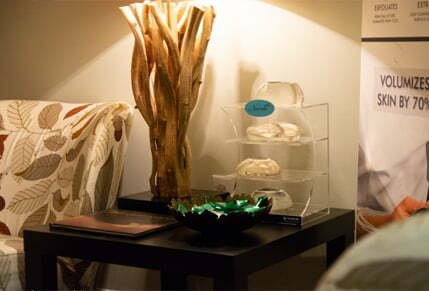 Each procedure is custom tailored to your needs. The cost of your procedure will depend on the type of surgery you have, how extensive the surgery is, what type of anesthesia is used and other factors. Our knowledgeable team will make sure you understand the cost of your surgery before your scheduled appointment. For your convenience, we accept cash, check, Visa®, MasterCard®, American Express® and Discover®. We also offer financing options via CareCredit®. Patients undergoing general anesthesia are not recommended to drive themselves home. Some patients may be up and moving around after surgery. Other patients need to plan on resting. You will be sent home with instructions on how to care for the dressings over any incision sites. Dr. Koger may also fit you with a compression garment to help the skin stay taut and in the ideal placement while it heals. Some stitches will dissolve as the incision heals. If stitches need to be removed in the office, you will schedule a follow-up appointment at the appropriate time. Dr. Koger will also designate a schedule to monitor your progress over the next weeks. The doctor will discuss any restrictions on your activities like lifting, running or participating in other exercise. Patients should not swim until the incision sites are completely closed. It may be several weeks before you are able to resume all of your normal activities. It will also take some time for your body to adjust to its smaller size though you may see some results immediately. You may be able to go back to work within seven to 10 days following your surgery; this may be longer or shorter depending on the type of surgery you have. If you live in or around West Palm Beach, Wellington, Vero Beach or anywhere in Palm Beach County, and are looking for a board-certified plastic surgeon to perform plastic surgery after weight loss, contact Dr. Koger at Koger Cosmetic Clinic and Medspa in Jupiter, FL, today, to set up a complimentary consultation.